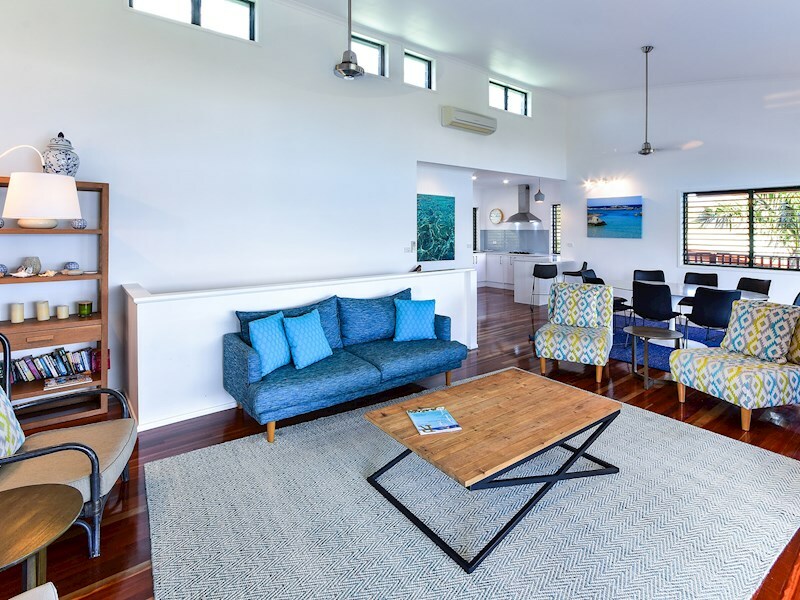 Spacious, freestanding four bedroom villa. 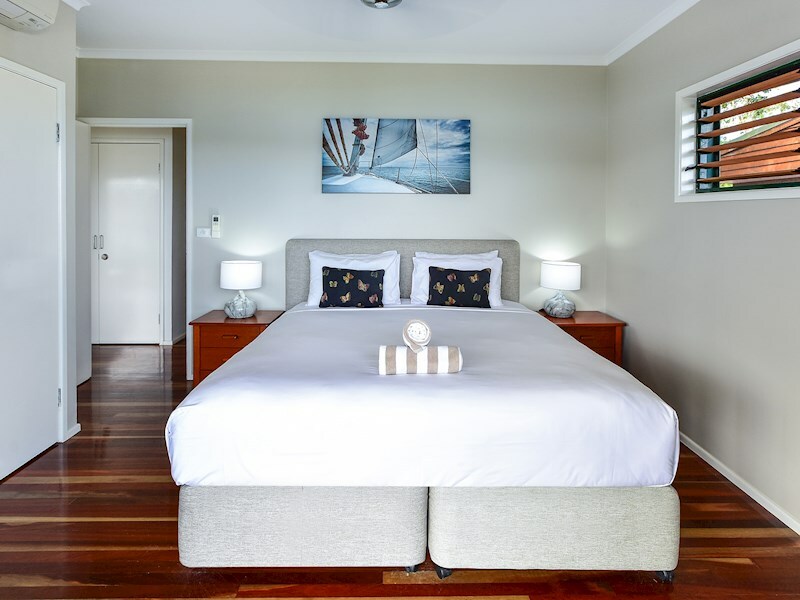 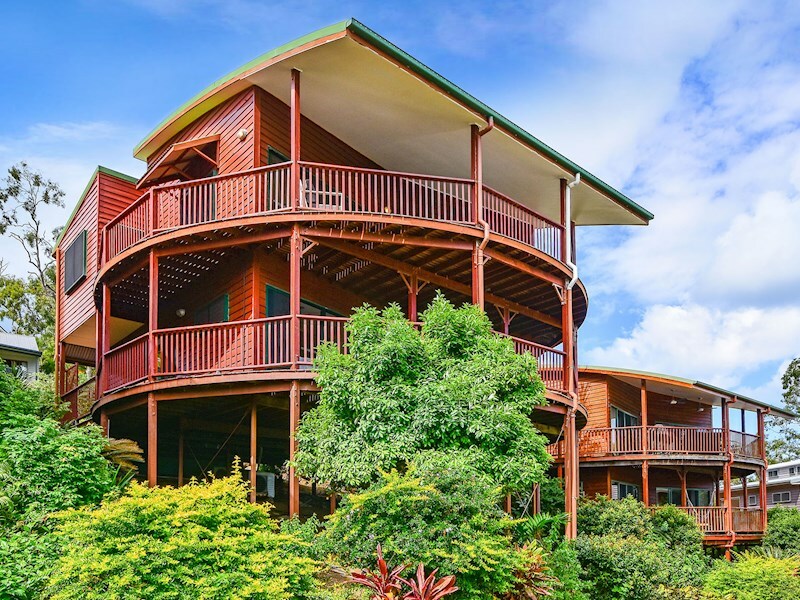 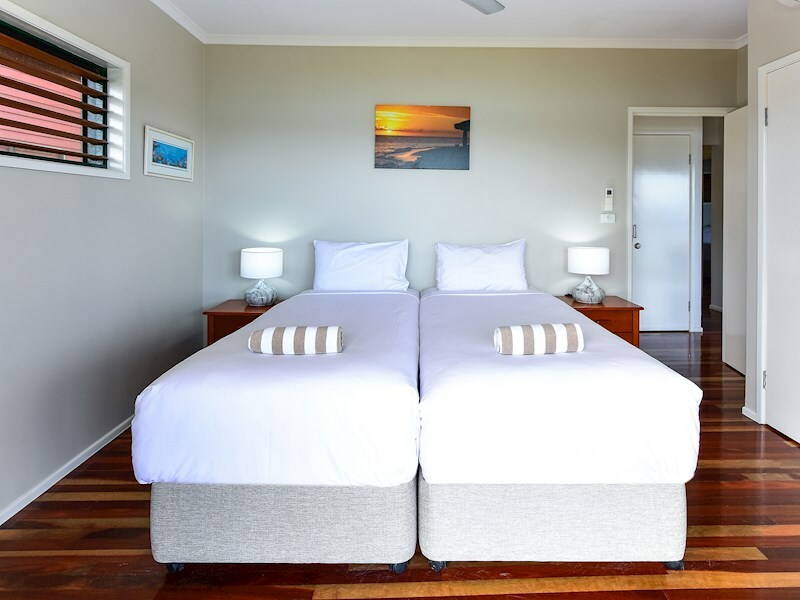 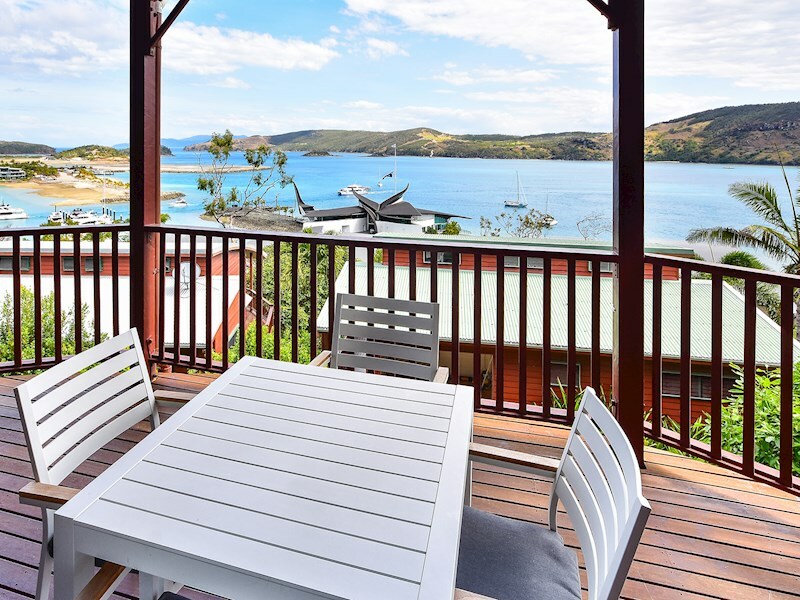 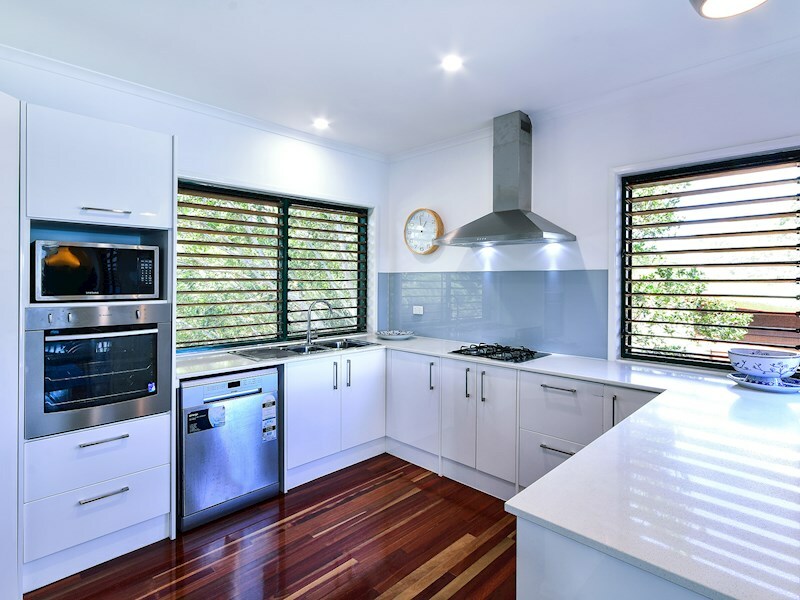 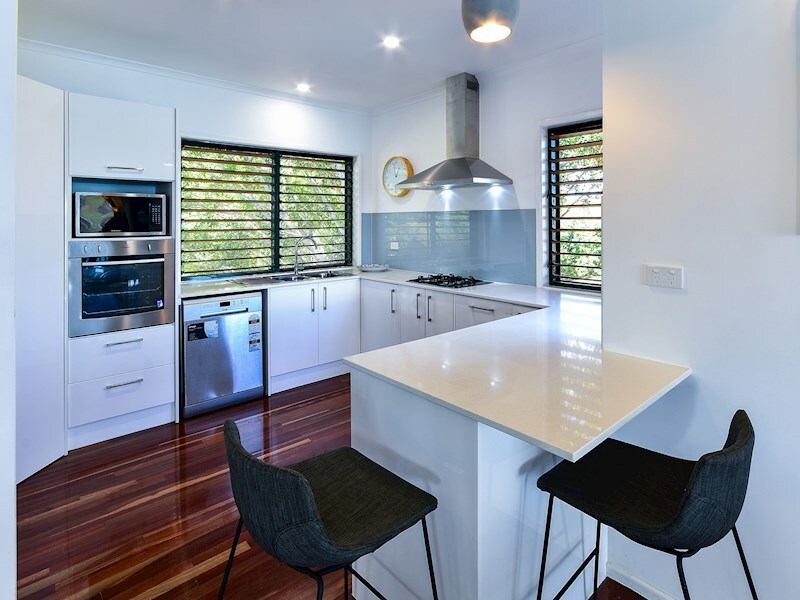 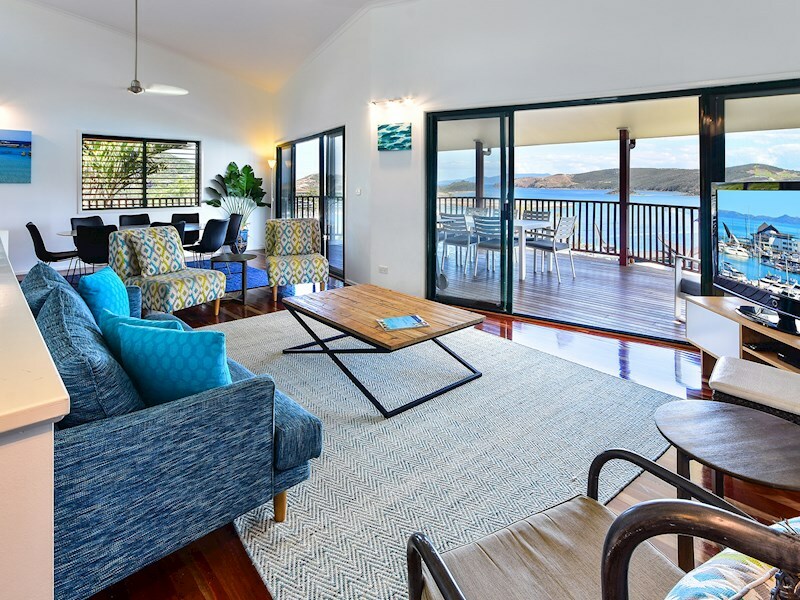 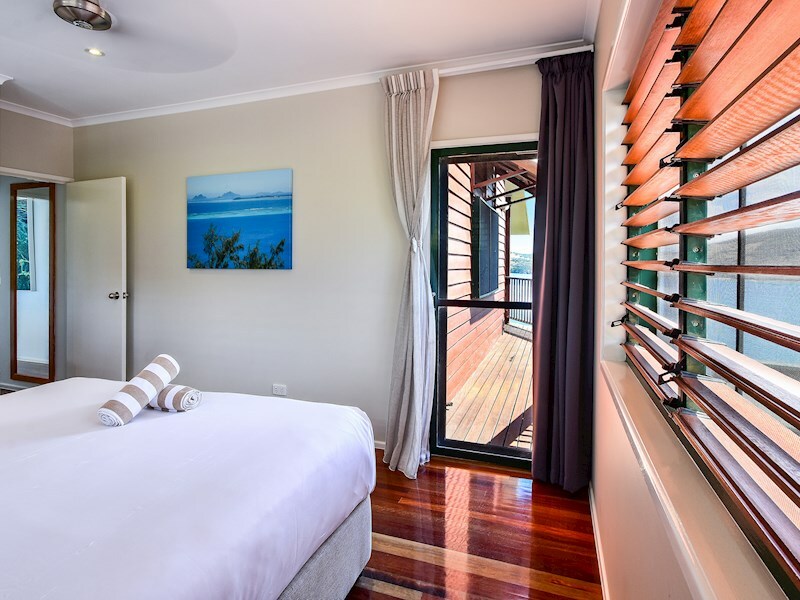 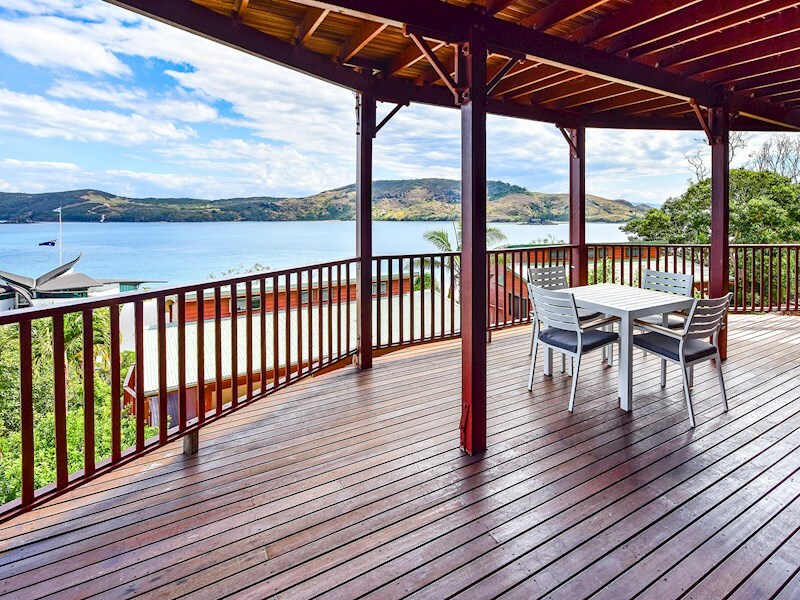 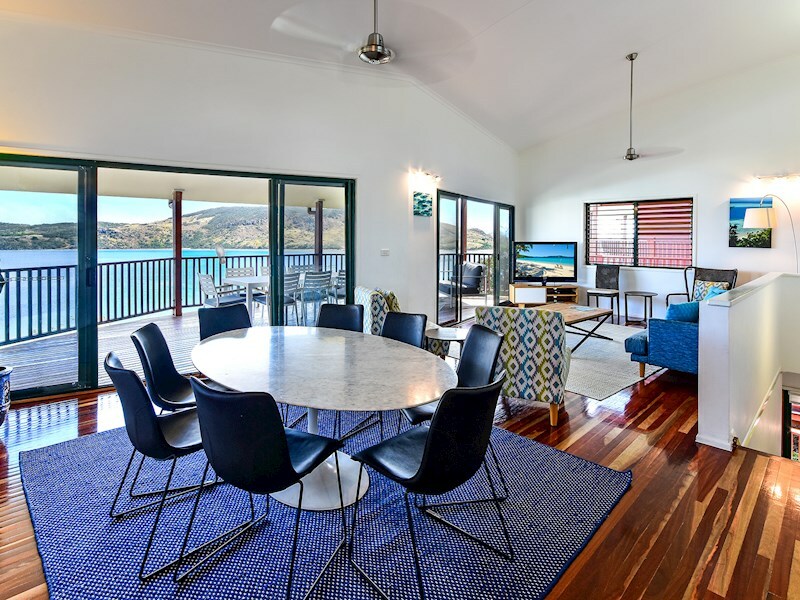 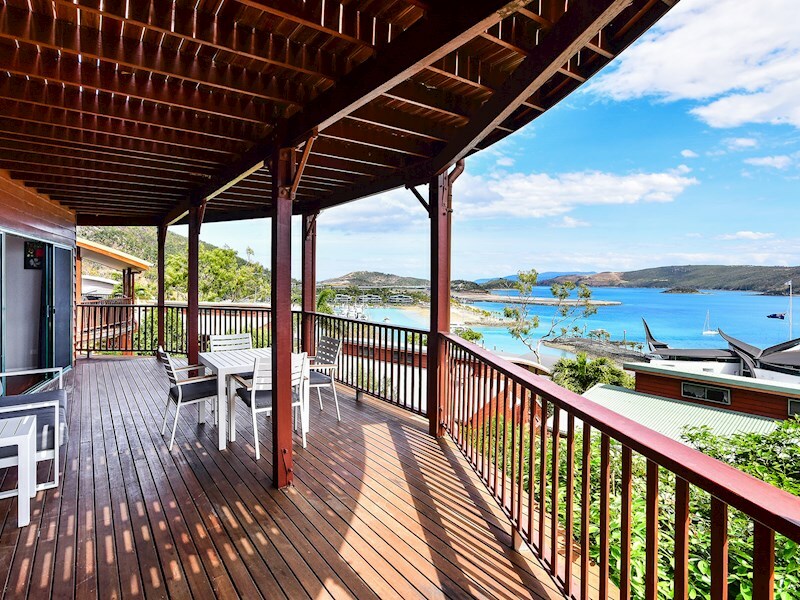 Recently renovated, this stylish four bedroom villa offers timber floorboards and spectacular views over the Whitsundays. 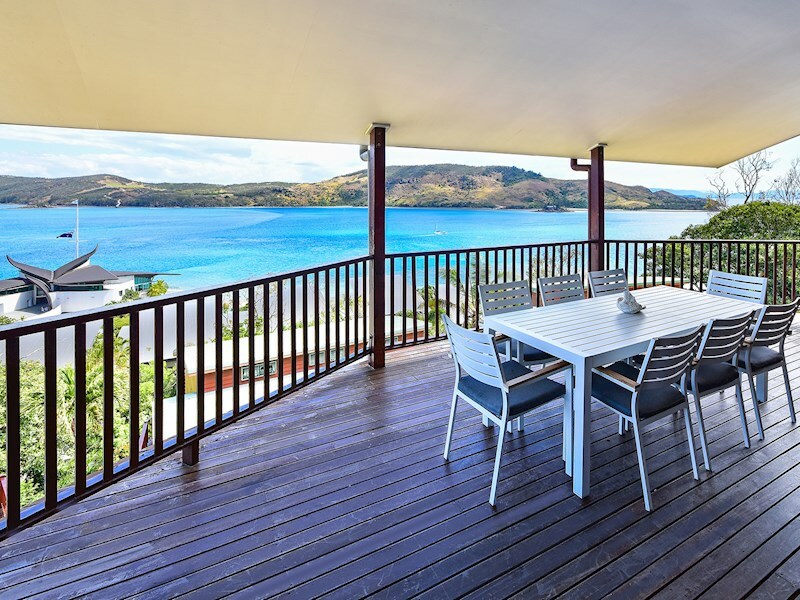 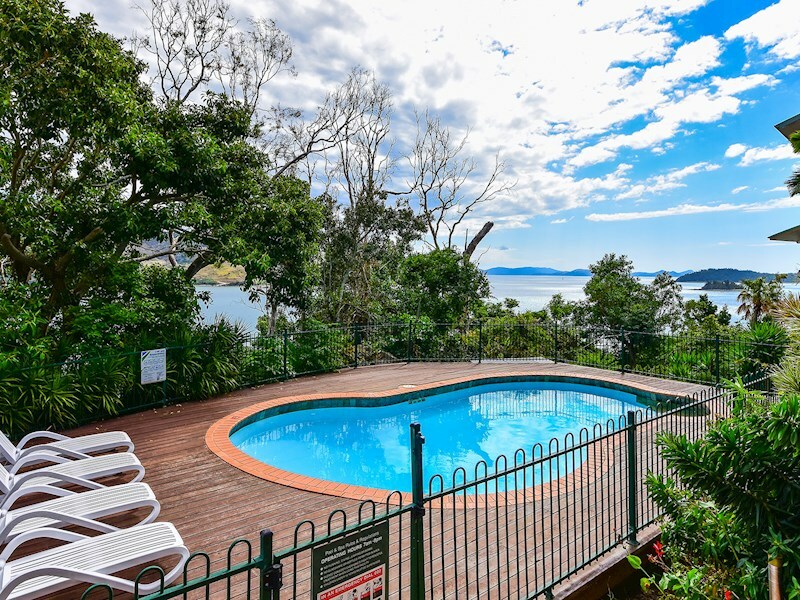 This villa looks over the passage across to the Hamilton Island Golf Course on Dent Island. 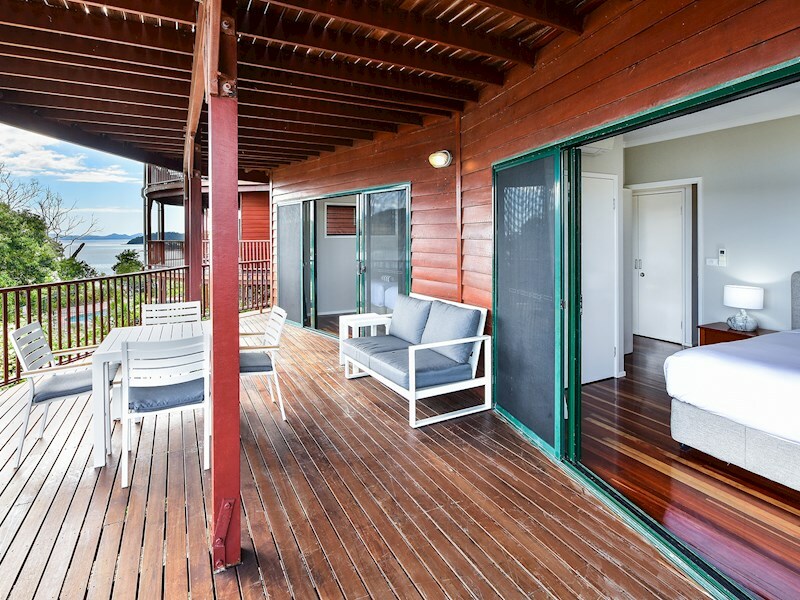 There are two large balconies, one of which runs off the downstairs bedrooms. 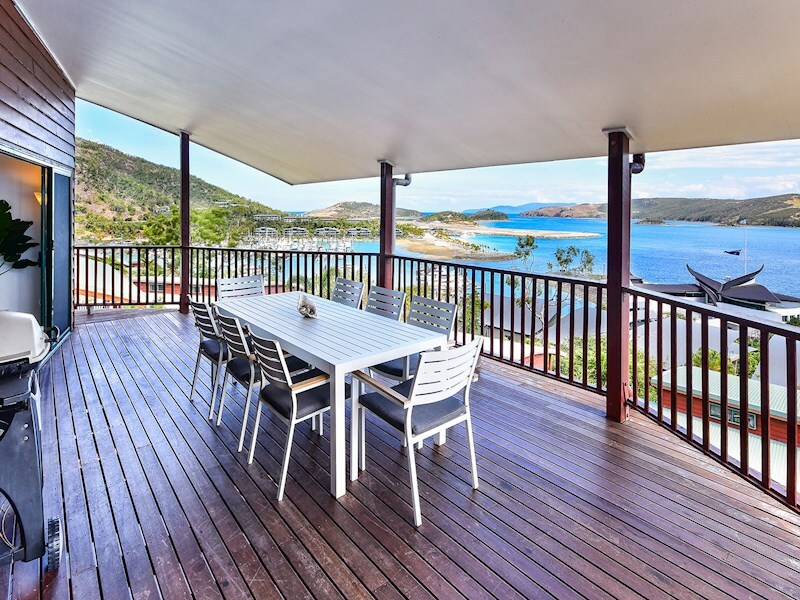 There is also a BBQ and outdoor dining setting for eight people. 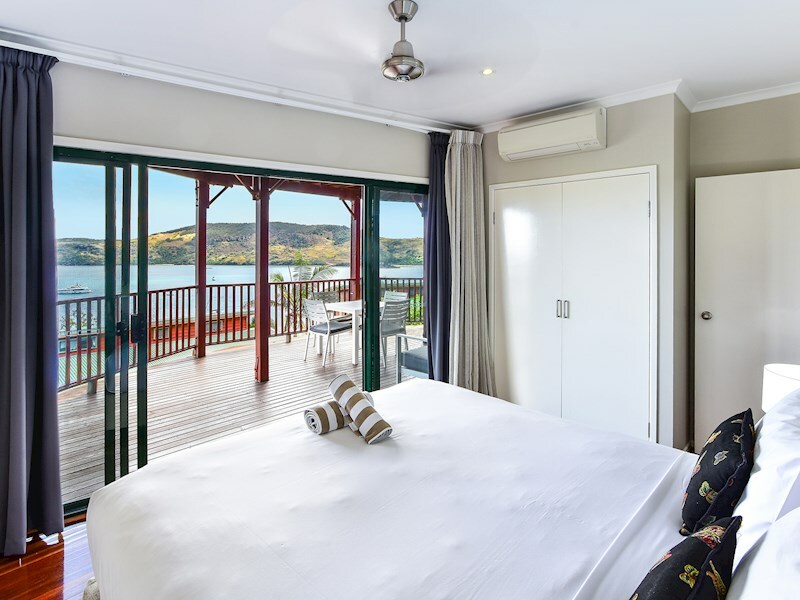 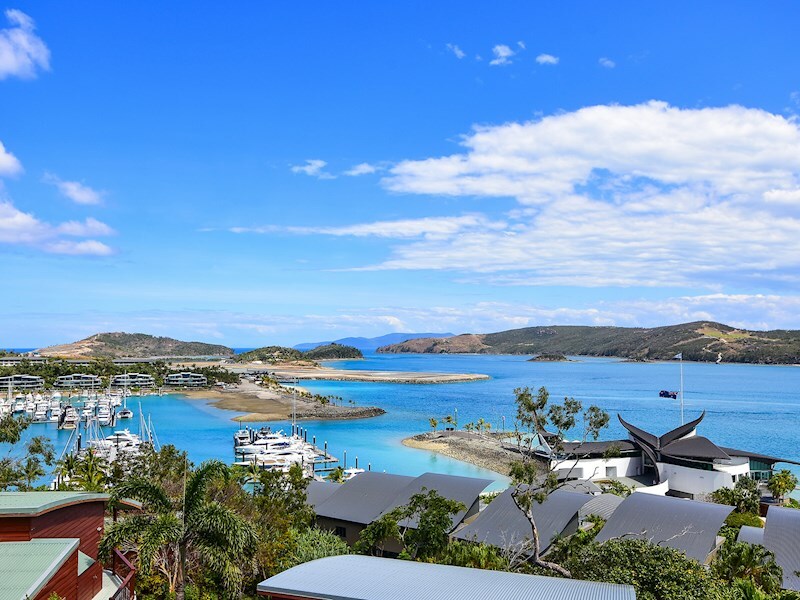 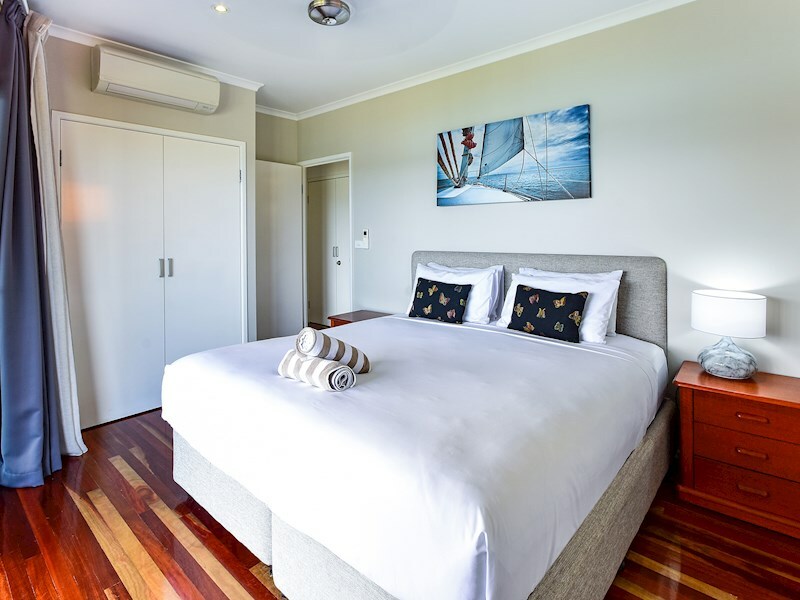 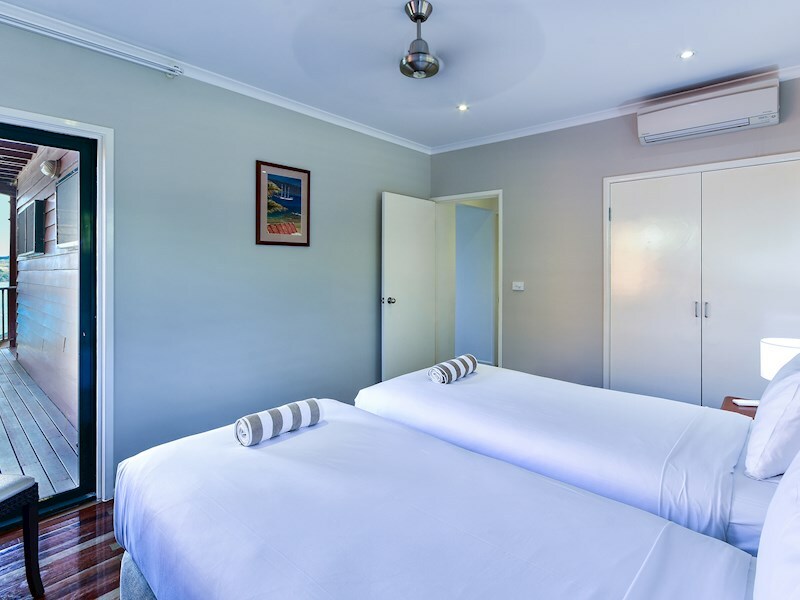 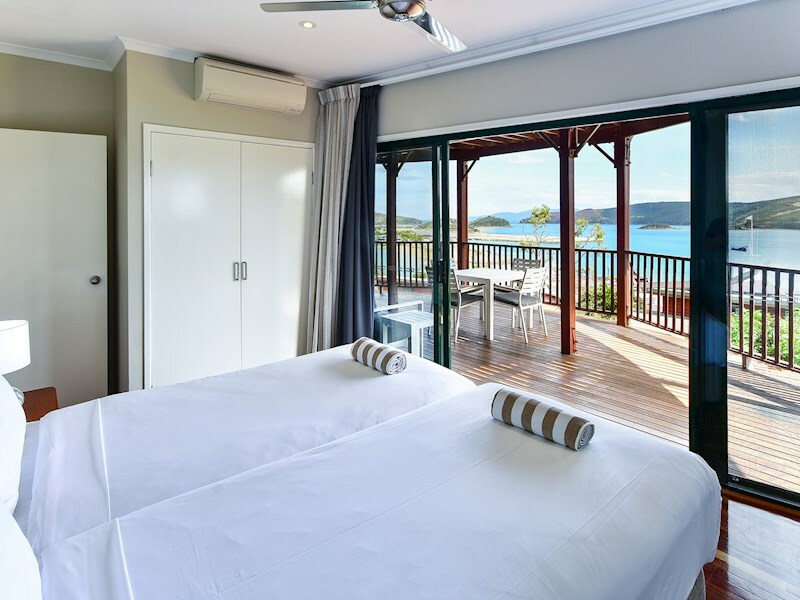 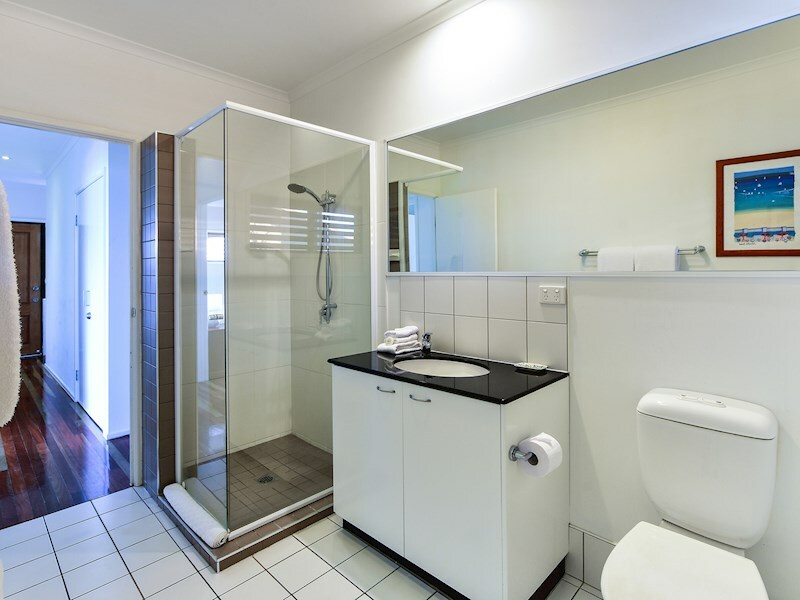 The villa is in a perfect location, just a short walk or buggy ride to Front Street and the Hamilton Island Marina. 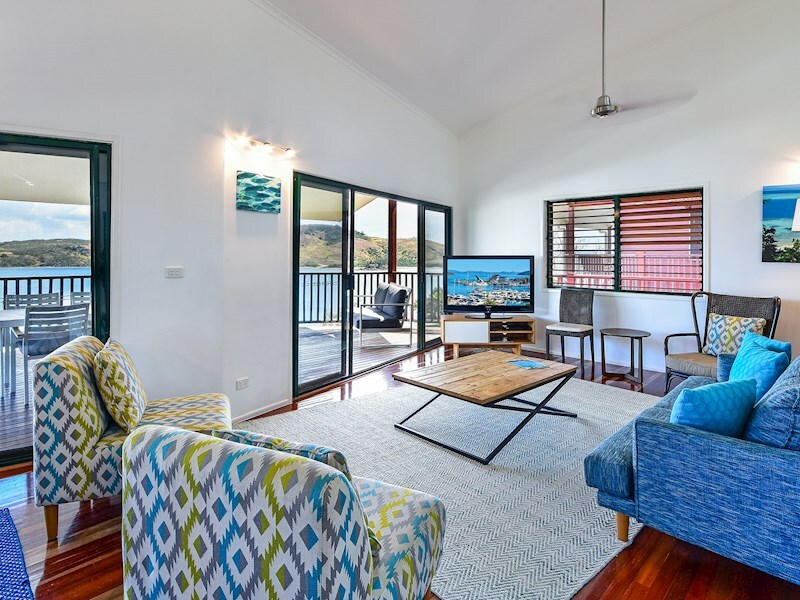 This villa is quiet and private, and has plenty of room for a family or group of friends. 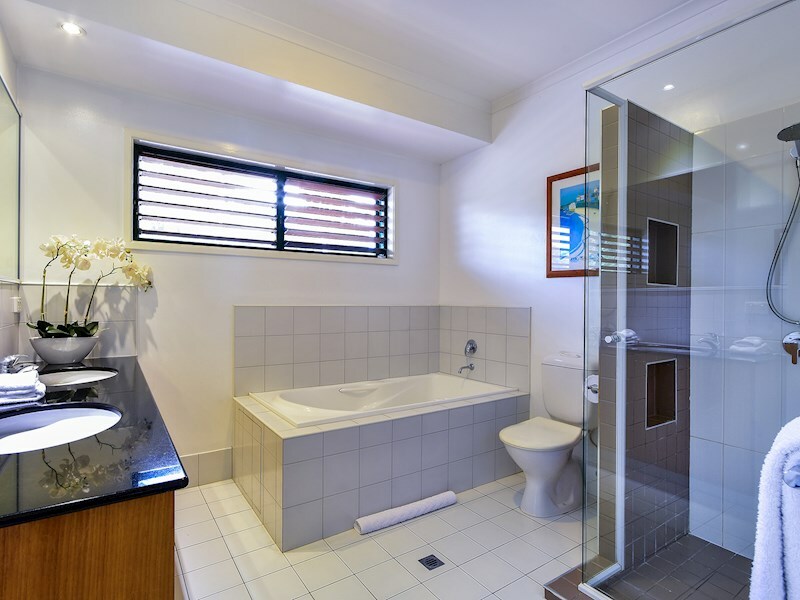 On the lower level there are three bedrooms, all of which have ceiling fans, air-conditioning and built-in robes. 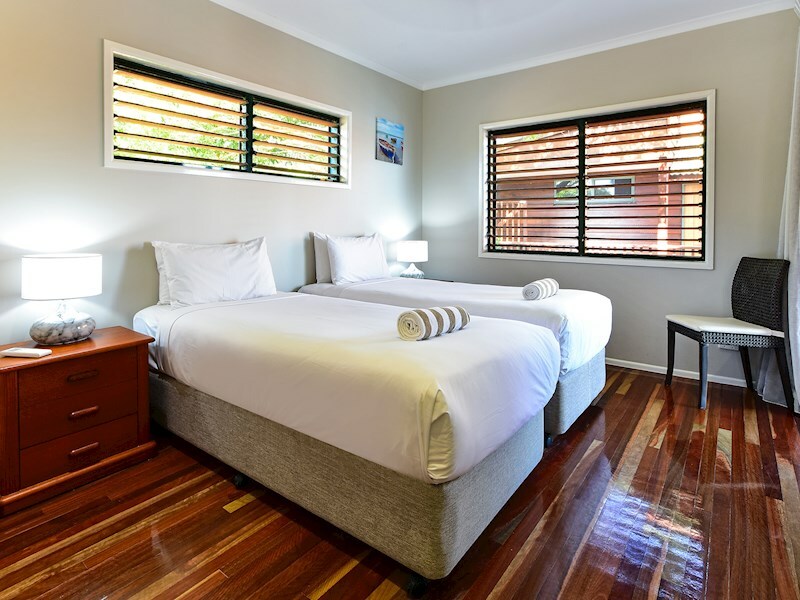 One has a king bed, and the other two have two singles. 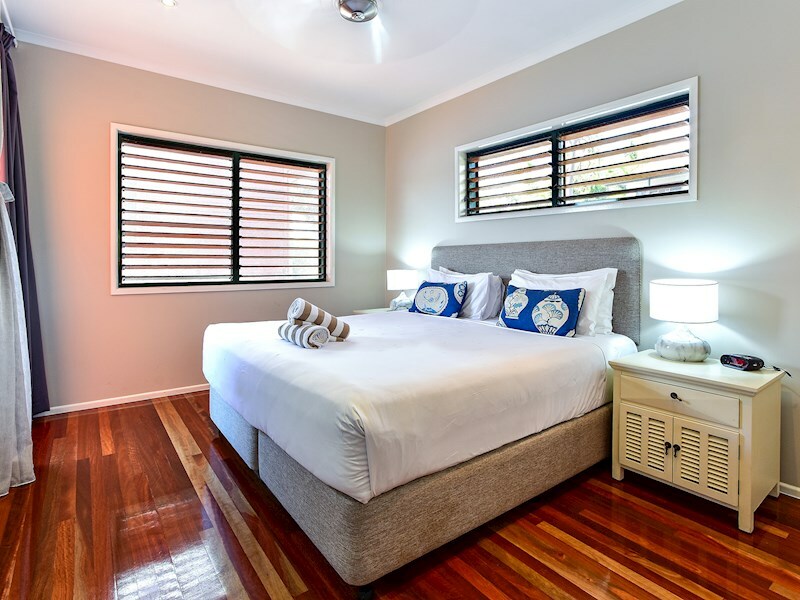 Upstairs, the master bedroom has a king bed. 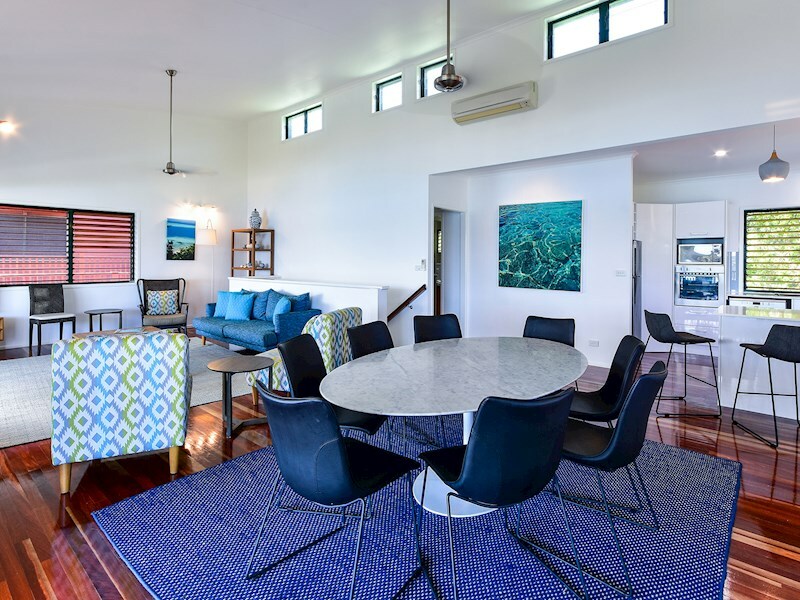 The villa is just a short distance to the Casuarina Cove shared pool. 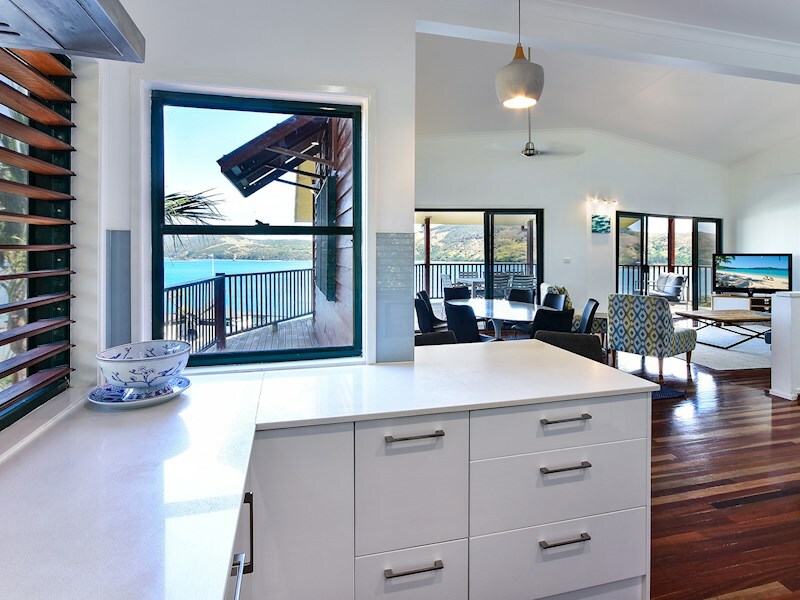 The villa features a fully-equipped kitchen with stainless steel appliances, all utensils, crockery and cutlery.